WELCOME HOME! 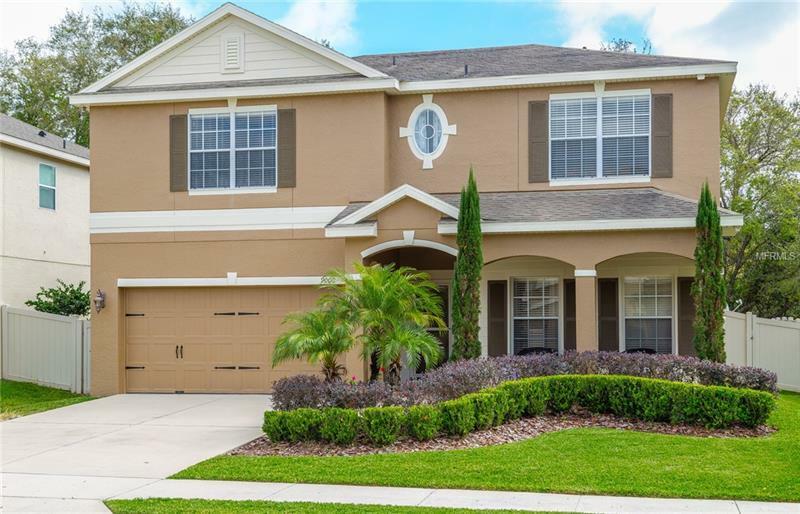 This IMMACULATE, TURN-KEY POOL home is nestled within Oviedo's desired Clifton Park! 1st FLOOR: Upon entering you'll fall in love w/ the living/dining room combo featuring elegant wood flooring, crown molding & updated fixtures. Just beyond is the family room complete w/ a Bose SURROUND SYSTEM & FRENCH DOORS leading to the pool. The eat-in kitchen is complete with a breakfast bar, 42â CHERRY WOOD cabinets, tiled backsplash, STAINLESS STEEL appliances & easy care silestone countertops. The dinette is perfectly situated w/ a lovely bay window overlooking the sparkling pool. Lastly is a guest bedroom & full bath. 2nd FLOOR: Showcases 3 secondary bedrooms w/ walk-in closets, Jack & Jill bath & an easy access laundry room. The Master Suite features an OVERSIZED-WALK-IN CLOSET, Bose Surround System, crown molding & an attached den/office w/ a WALK-IN CLOSET that could be used as a nursery or an additional bedroom. The ensuite boasts DUAL sinks, SOAKING TUB w/ a separate shower & a private water closet. Stepping out back is a delightful paver screened pool/spa area. This space is complete with Bose Sound speakers, pre-wired for cable TV, solar panels, propane for the spa and is fenced, making this a private retreat! *DOUBLE PANE-LOW E WINDOWS-2016, EXTERIOR PAINTED-JULY 2018 Just steps from the Seminole County Trail & perfect for walking/biking, Publix, shopping/restaurants & all of life's little conveniences. TOP-RATED Seminole schools. Easy access to 417, Orlando airport, & 10 mins to downtown! Amenities Additional Fees: Clifton Park Walking Trail. Clubhouse, Pool, Fishing Dock, Clifton Park Walking Trail Extension being completed soon!